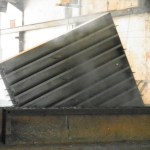 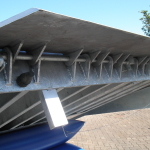 Hot dipped galvanizing while expensive most certainly has it’s place in the industry. 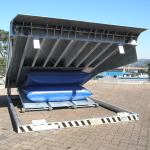 Coastal towns where rust is a major issue or where a dockleveller is placed in a cold room and where moisture is an issue. 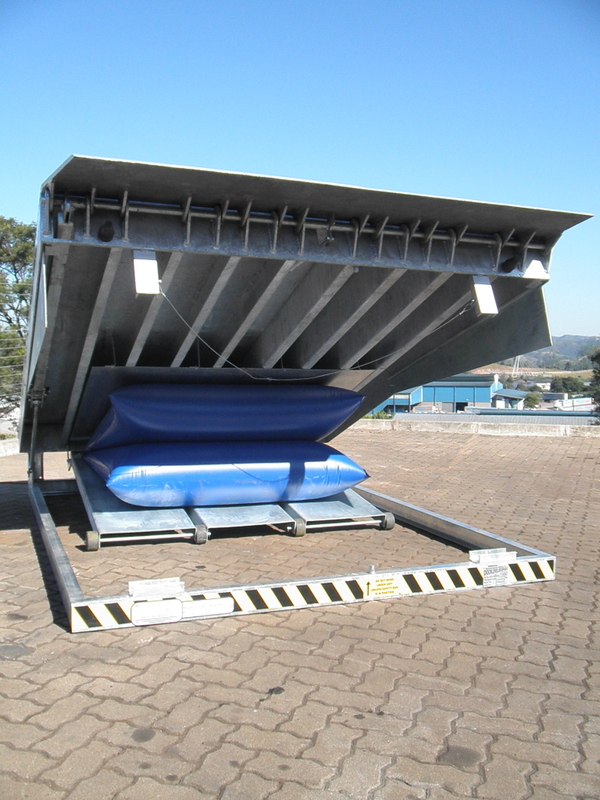 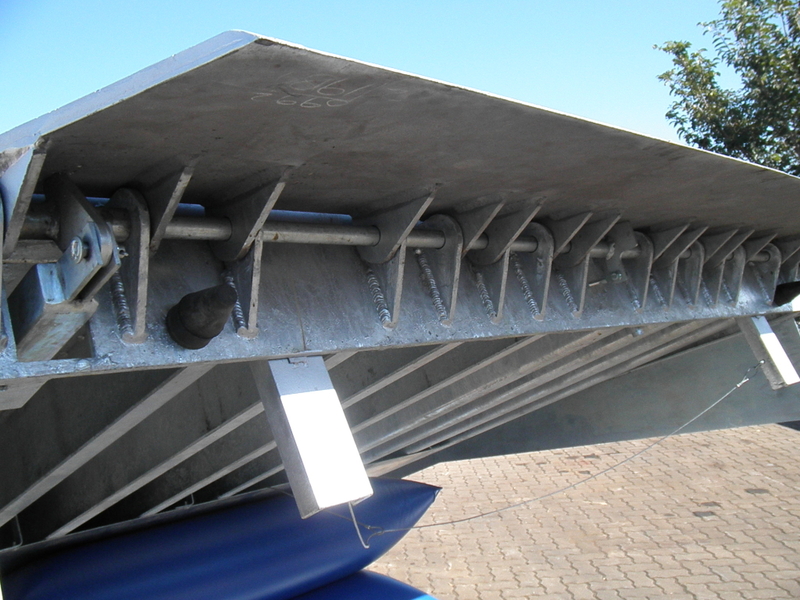 The hot dipped galvanizing can add between 10 and 20 years to the docklevellers life span. 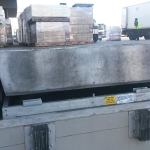 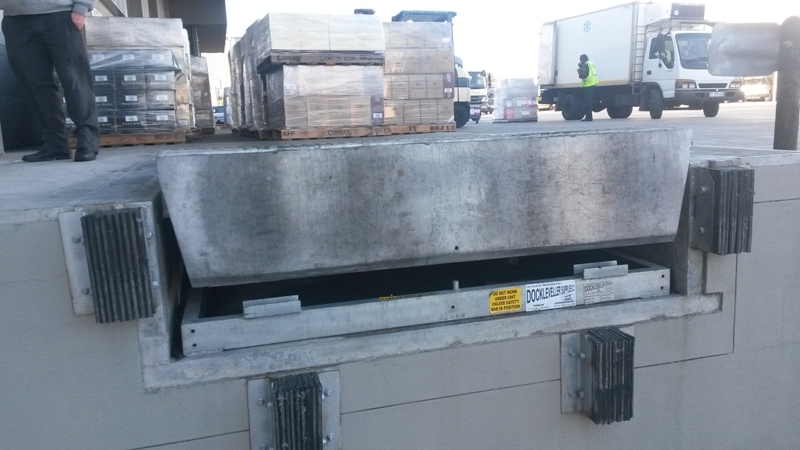 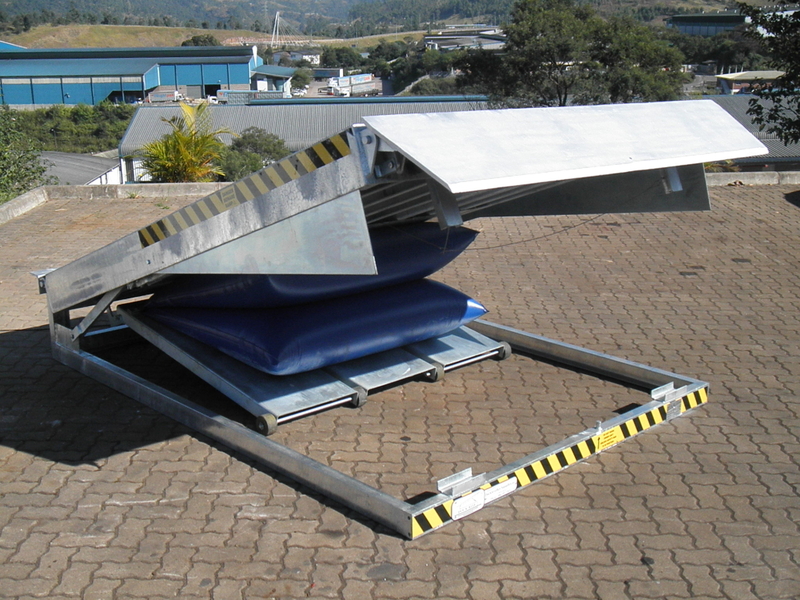 We are able to manufacture most of our docklevellers in a galvanized form, however there are some constraints. 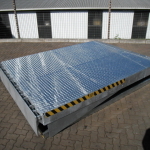 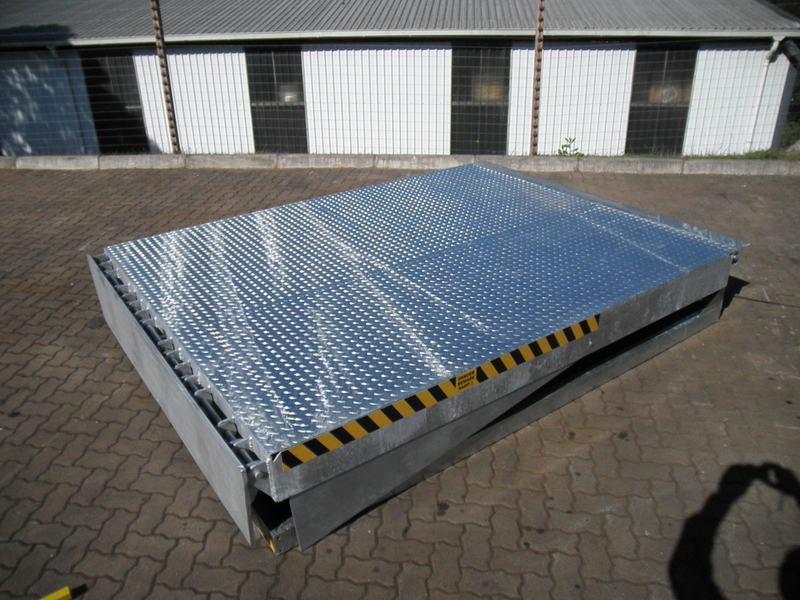 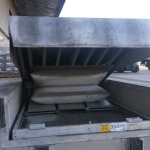 Should you require a galvanized dockleveller get in touch with us and we would be glad to guide you through the process. 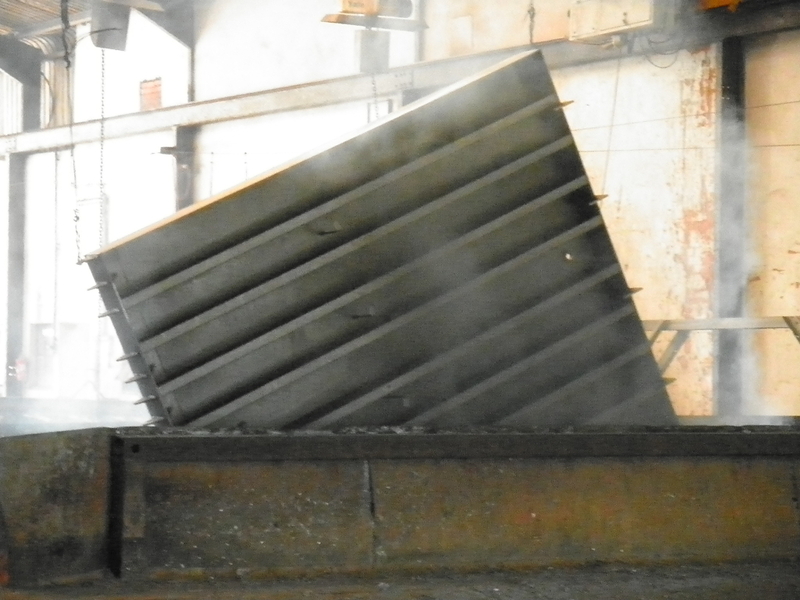 Docklevellers that are to be galvanized undergo a different construction method due to the heating and cooling of the steel while in the zink tank. 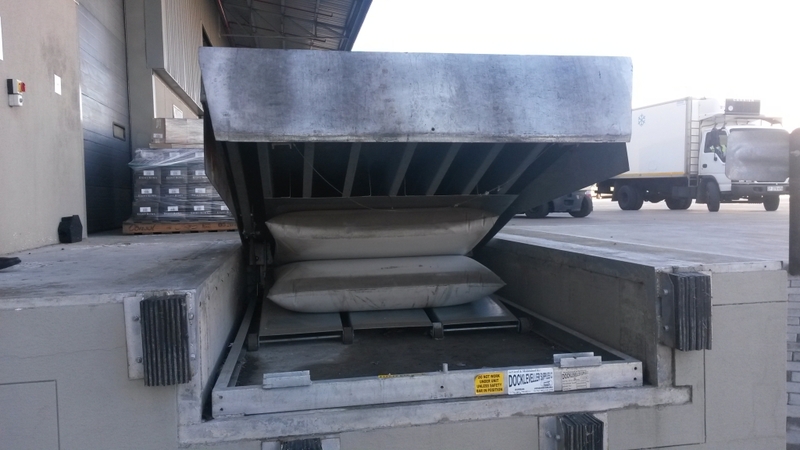 This heating and cooling if not controlled properly results in the dockleveller distorting. 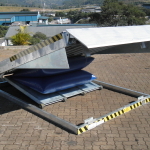 There are not many companies who have the expertise to deal with the hot dip galvanizing of docklevellers for the very reason.